Are you still using Fax Machines for transferring documents??? Yes! now it’s time to throw away your Fax Machines and use this amazing app instead 😛 Yes I’m talking about the smartphone app that will help you to be more productive in your work. In Business work, most of the peoples have the burden of lots of office work and they get really stressed using the same way to perform or don the following job, either it is sending or receiving a document and fax or anything else. In this article, I’m to show you an app that will require only an internet connection and it eliminates the using and costs of old fax machines. e-Faxing is cheaper for small business that only needs to fax occasionally. Conducting business on the go has never been easier due to the convenience and portability of smartphones and the internet. More specifically, productivity apps have added a great deal of access to business functions and also help increase output. Because you can access anything at your fingertips by using your phone, tablet, or computer, conducting business is quicker than ever before. 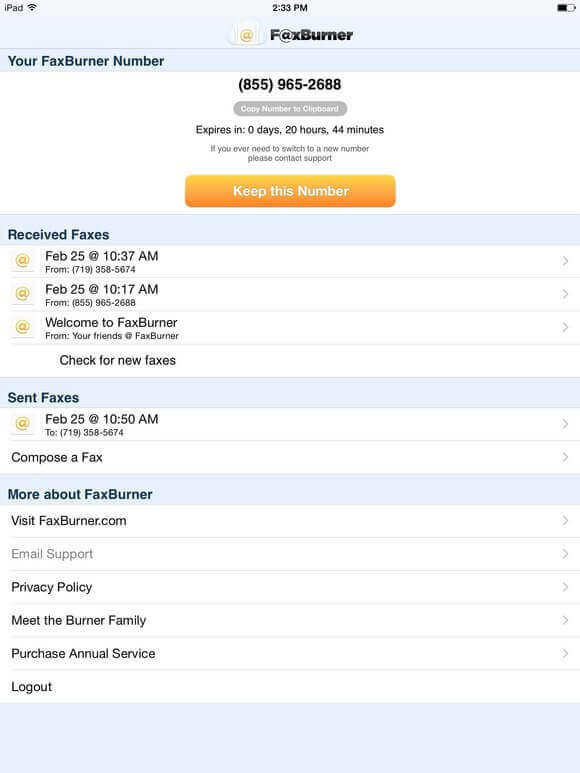 This article will showcase how using a fax machine app such as faxburner can help you be more productive with your day. Obtain a free fax number. Have you ever been in an airport and you needed to receive a document via fax but you were unable to do so? Have you ever been in a meeting and need your administrative assistant to send over documents quickly and the best way to do so is by fax? How convenient would it be to be able to have your administrative assistance fax your documents to your phone? No longer will you have to deal with the connectivity troubles or paper jams that occur in a regular fax machine, you can simply access the document on your phone. With this app, you will receive a free fax number so that you can send or receive faxes from anywhere that you have an internet connection. How great is that? Receive faxes from your iPhone. With a fax machine app, you can receive faxes straight to your phone or tablet. The cost is minimal and you will have peace of mind that at moments notice you can fax or receive documents that are needed to conduct business. Send faxes from your iPhone. Often time faxing a document can be a challenge. Whether your fax machine is jammed, is offline due to an undetermined reason, is out of ink, or is in the middle of receiving a fax, you do not have to worry. Time is of the essence in situations where you need to send a fax and you can now do so from your phone. The reliable and secure transmission of information can happen in a matter of seconds. Send and receive signatures. Often times in business you will be required to send or receive a signature on a form. Before a signature is received, a deal is not considered complete. To avoid losing or stalling a business transaction, you are not able to use your smartphone to send or receive signatures. This makes conducting business more efficient than ever before. Help your business today by investing in a fax machine app. There are many great apps that are compatible with any smart device and they do not take long to set up. With a low monthly cost, you can be on your way to sending and receiving faxes from anywhere you have an internet connection. No more frustration over paper jams, busy signals, or ink shortages that limit your productivity. With a fax, machine app business will be moving full speed ahead. 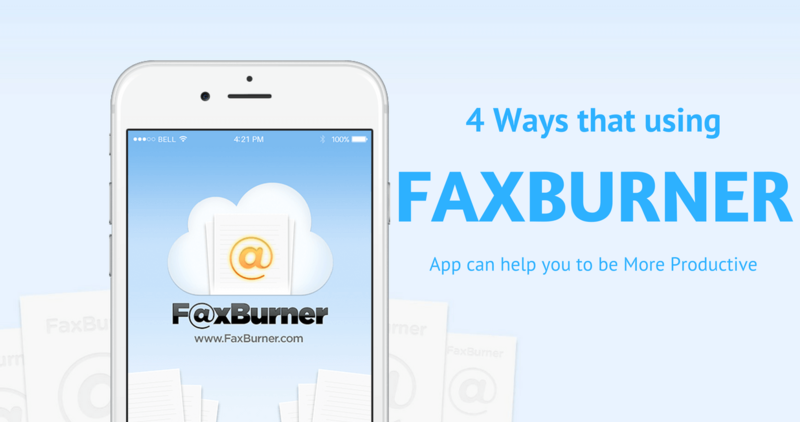 So this was an amazing iOS app which can help you to be more productive and this FaxBurner app can transform your iPhone, iPad, and iPod to the fax machine. and only require an internet connection to receive and send faxes. Hope you liked that post, if youare already using this app then do share your experience in comments with us, don’t forget to share this post with your friends or your organzition’s memebers this will really helped for them. Stay connected for more awesome articles.